Lemon and Herb Chicken from “Nandos Restaurant”….. Just to promote our favourite chicken barbeque restaurant here in NZ. 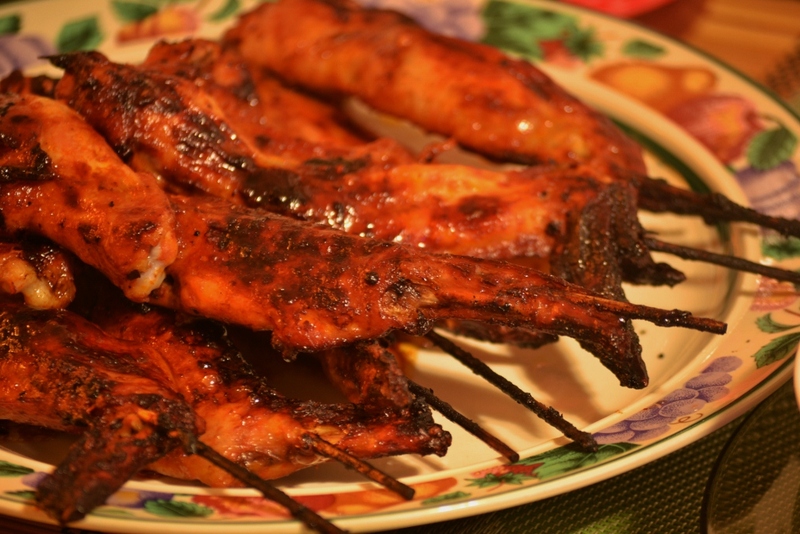 I am happy to share you once again this chicken barbeque recipe. It is my version of “Nandos” Lemon and Herb Chicken. It is a combination of lemon and chillies and different herbs. (Hey nandos, you might want to give me some food voucher for this free ads, hahaha LOL) Yumm!!!!! Who can say no to barbeque, well I cant!!! Must try! some chillies, chopped and depends how hot and spicy you want. In a container with cover, combine all ingredients together and rubbed the chicken. Marinate for a minimum of two hours or better overnight. Best grilled using charcoal or simply in oven. 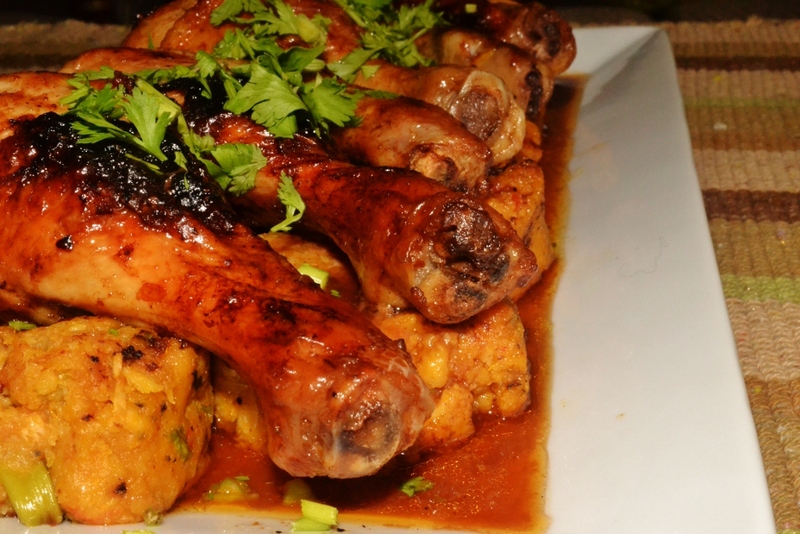 Chicken and pumpkin…………..This is a healthy and spicy dish. I combined my Chicken and pumpkin cake with my favourite food – Grilled and Spicy Chicken. Yes, Chicken is one of my favourite food and “Spicy” is my favourite taste! When I read a book about chillies, the author always finished his paragraph using “…the more spicy, the more healthy!”. From then on, I started associating chillies to almost every recipe I made. But still, chillies will be your options. But for me, Chillies is a “must” for my dish……………….Did you know that some studies show that eating chillies regularly helps keep your heart healthy by lowering cholesterol, keeping your blood pressure in a healthy range, and allowing more blood to reach the heart. And there is a fact that recent studies shows that consuming just a little chilli pepper (fresh or dried) each day helps us fall asleep, and stay asleep longer. And adding a little fresh-cut chili to your evening meal may also help you feel more awake the next day………….Believe it or not!!!…. 3 stems of coriander – save some for garnishing. In a charcoal grill or oven, grill chicken until cook. On a platter, assemble chicken and pumpkin cake and top with spicy chicken. Pour a little drippings and garnish with chopped coriander. I remember before I went to New Zealand, there s a new Inasal Restaurant in th Philippines that offers a “rice all you can” when you order one of chicken Inasal meal. I used to have my lunch there especially when I am busy preparing my documents going here in NZ. 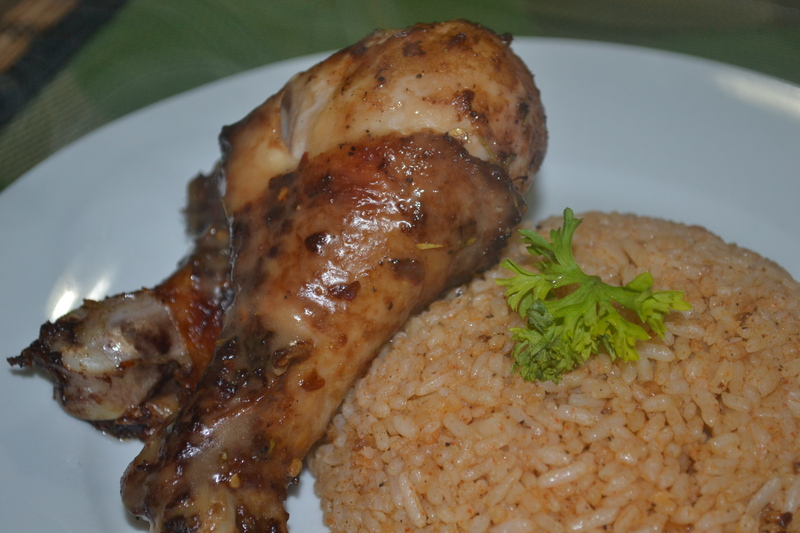 They serve the Inasal with achara and sinamak(vinegar, chillies & garlic, onions, ginger)….Did you know that chicken is a good source of protein, as it contains very little fat compared to other sources of meat. However, if you have a severe cholesterol problem, then chicken may not be good for you, as it contains a considerable amount of cholesterol…. In a container, mixed all ingredients together except chicken, mix well. add chicken and rub evenly. Cover container and marinate for a minimum of 2 hours. 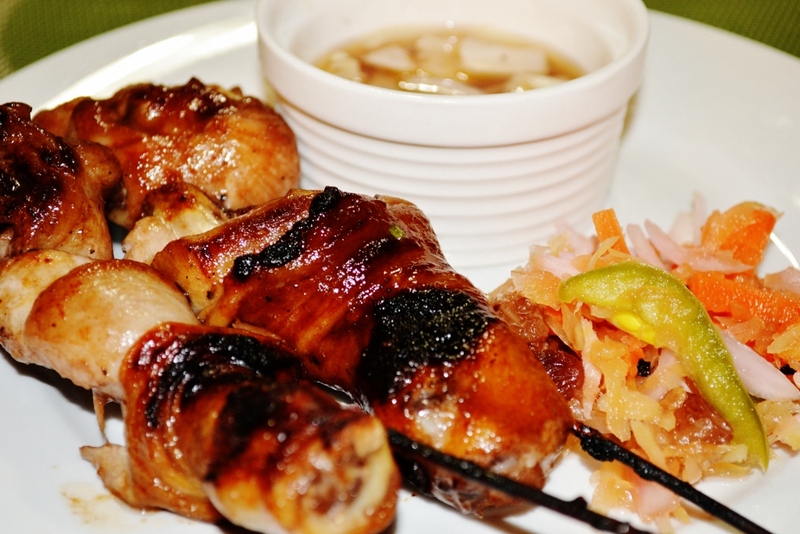 place chicken meat in a skewer, save the remaining marinade mix for brushing. If you like hot & spicy and chillies, definitely you will try this recipe…similar to nando’s periperi chicken, it is marinated with lots of fresh chilli peppers, dried chillies, mix herbs, lemon and complimented by a garlic & paprika chilli rice…wheewww!!! ready your cold beer or water, because this meal will definitely heat you up this winter…..
*marinate 2-3 hours then grilled in oven for 35-45 minutes at 180 degrees celcius.. flip every 10 minutes. brush with the remaining sauce constantly. enjoy your meal…..ready your cold beer!!! !